It is not very often that one has the opportunity to visit a garden which is pretty much as it was when created. 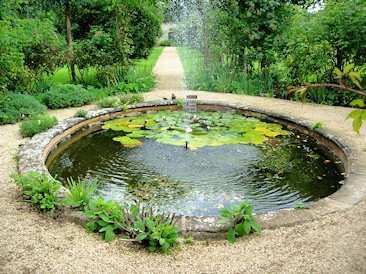 Normally, time clothes the original concept; either in layers of neglect, or layers of ‘improvements’ carried out by successive generations of zealous owners and Head Gardeners. Not so at Rousham, situated north of Oxford in the rolling Oxfordshire Cotswolds. Here today, is a garden which would be instantly recognisable to its creator William Kent, despite the fact that almost 270 years have passed since he drew up the plan for the garden in 1738. Not only that, Rousham has managed to maintain an air of unspoilt simplicity in an age when properties open to the public are under ever increasing pressure to develop shops, cafes, garden centres and an events programme akin to that of the Bristol Hippodrome! In words taken from Rousham’s modest, but informative leaflet, ‘Rousham is uncommercial and unspoilt with no tea room and no shop. Bring a picnic, wear comfortable shoes and it is yours for the day’. Well, personally speaking, long may it stay so – and that’s from someone who has done a fair bit of his own visitor attraction development over the years. What Rousham offers is rare, worthy and supremely enjoyable. So, where do we begin our journey back in time through this remarkable landscape? Well, I have already mentioned William Kent (1685 -1748) and that should be the sensible place to start. 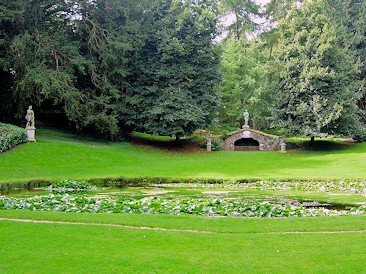 However, there is one other person intrinsically linked with Rousham’s landscape and that is the outstanding eighteenth-century surveyor and designer Charles Bridgeman. What Kent did from 1738, was to ‘re-model’ an earlier garden created in the 1720’s by Charles Bridgeman for the Dormer family - who have been at Rousham since the house was constructed around 1635. It is Bridgeman who is credited with inventing the ha-ha, the sunken fence which did away with the need for intrusive fences and barriers separating garden from field. In one way this was a simple invention, dig a ditch and put your fence - which keeps your grazing stock from wandering into your garden - in the bottom of the ditch, because that way you don’t see it. 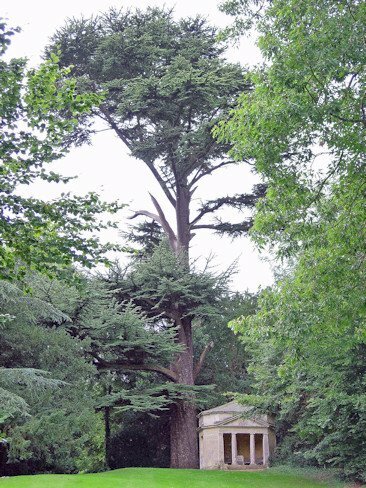 However, the effect of this invention was to lead the way for probably one of the most profound changes ever seen in English garden design. Prior to the ha-ha’s invention, English gardens were formal, sophisticated, quite often geometric and designed in a way that showed how man could tame the ‘wild’ landscape which lay outside their borders. Come the ha-ha and enter a softer, more picturesque and naturalistic interpretation of garden design, which no longer shut-out the wider landscape beyond the garden, but used it, borrowed it; firstly as a backdrop to the garden, then as part of the garden itself. Alexander Pope described it as, ‘calling in’ the surrounding countryside. 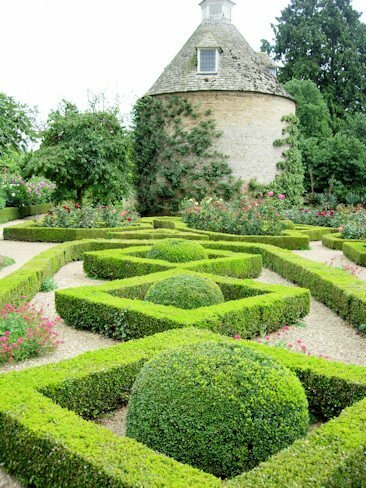 Now Bridgeman did not do all this himself; through his invention of the ha-ha, he provided the initial key and then he began, in a rather tentative way, to unravel the English formal garden, but this was done under the influence of many others, including Alexander Pope. Pope wrote extensively and eloquently in favour of Nature as opposed to Art within the garden. Ironically, Pope’s influence actually came from Art and the work of artists such as Poussin, Pannini and Fattori, which showed an idealised representation of the Italian countryside, with peasants tending their animals and vines within a landscape full of ruined temples, groves of trees, canals, fountains and statues. Of course, all these classical architectural features could be seen for real by any English traveller on the Grand Tour around the Mediterranean. Many of whom returned to England determined to recreate their little bit of classical Italy upon their own estates. Enter William Kent, himself a traveller in Italy, who simply swept away the intricate fabric of formal gardens the length and breadth of England, whilst in the process laying the foundations for ‘Capability’ Brown and Repton to build upon. Kent created in place of these formal gardens, informal landscapes which utilised natural slopes, hills and vistas, interspersed with introduced classical architectural features and with no visible divide between garden, parkland and the countryside beyond. And that, in all its glory, is in essence what can be seen in Rousham’s glorious 25-acre garden today. Not only that, there is even an original Charles Bridgeman ha-ha to boot! Prior to starting work at Rousham; Kent, a Yorkshireman, had spent nine years travelling in Italy. He visited Rome, Florence, Venice and Bologna, where he made a living copying Old Master paintings and producing architectural drawings which he sent back to England for sale. It was Lord Burlington who brought Kent home from Italy, initially to work on creating a Roman Villa and garden in the grounds of his house at Chiswick, London. From here Kent, moved to Stowe Park in Buckinghamshire and then on to Rousham.